Snoopy is an approximately 7-year-old Coonhound, who is a long-term shelter resident at Tri-County Animal Rescue Center in Shippenville, PA.
Meet Snoopy, he’s a 6-7 yr old Coonhound who has been looking for his perfect forever home for quite a while now. He weighs in at around 60 pounds, and he loves to run. Give him a wide open field, or forest and he’s a happy boy. 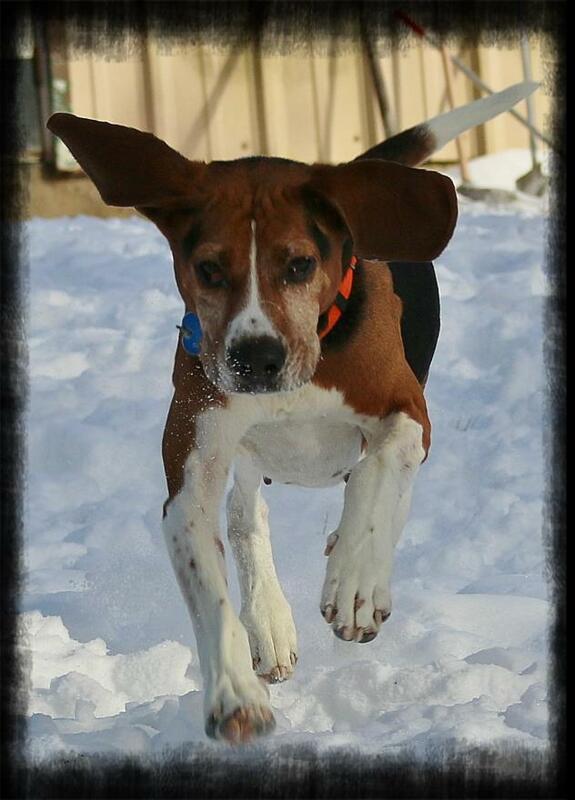 Unfortunately, Snoopy was adopted once, but then returned because of his love of running off. Although his wander-lust led him off again, and again, he always returned, otherwise his former family wouldn’t have been able to get him back to the shelter. 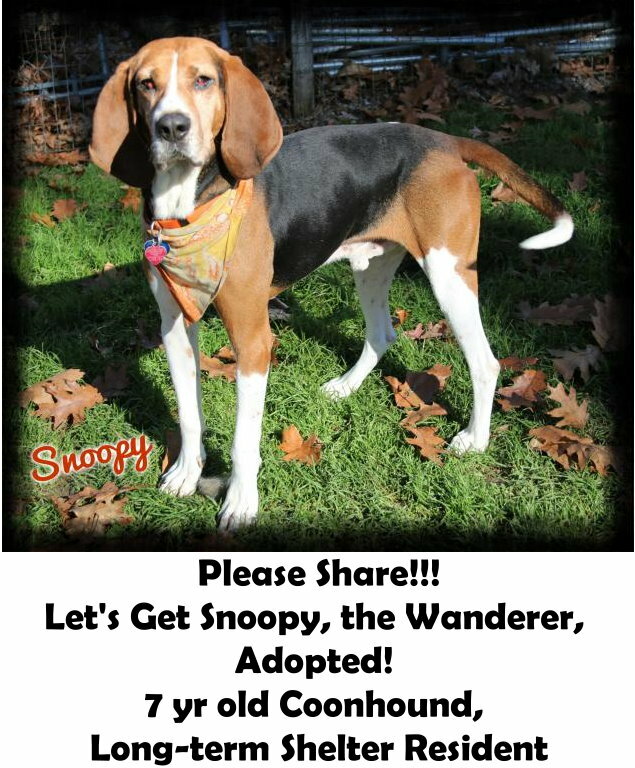 Snoopy just needs a family that is willing to work with him to curb his wanderlust. Someone who will commit to some consistent training, and positive reinforcement. A lot of adventures with his forever family would probably help too. So if you have the same type of wanderlust in your soul and love to spend time hiking, and out enjoying nature, Snoopy could be just the best friend you’ve been looking for. This sweet boy shouldn’t have to spend his golden years in the shelter, he deserves a forever family of his own. Know of a long-term shelter animal? So here is our first post to get some of these long-term shelter dogs adopt. I’m hoping to turn it into a regular series. So if your shelter or animal rescue has some long term shelter animals email us at: mamaminion @ thisdomain and we’ll do a write up on them too! Fostering Dogs Questions: Why do you foster dogs?